Most people, of most faiths, and even some atheists, believe that all or part of the body, mind and/or soul survives, transcending death. Is this because of man’s evolutionary brain, conditioning from our parents, priests or peers? Taking an impassionate look at the hard facts, the evidence, there is virtually no solid evidence that humans experience life after death and immortality for their core being. So why is it so persistent? Boston University think they have the answer. It’s developed in “Pre-life”, not just before birth, but before conception. A study published a couple of weeks ago in the online edition of “Child Development”by a team led by postdoctoral fellow Natalie Emmons (pictured above) illuminates this area following interviews with 283 children from two distinct cultures in Ecuador. The research suggests that the human bias toward thinking we are immortal is a part of human intuition that emerges, naturally, in our early in life- before we are conceived. And that’s not all, the theory goes on to suggest that the part of us that is eternal, we believe, is not our skills or ability to reason, but instead our hopes, desires and emotions. In a nutshell we are what we feel. And we feel immortal. 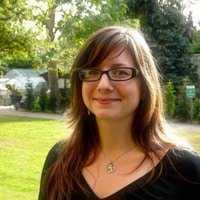 “This work shows that it’s possible for science to study religious belief. 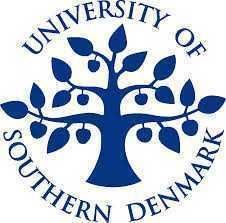 At the same time, it helps us understand some universal aspects of human cognition and the structure of the mind. By focusing on prelife, we could see if culture causes these beliefs to appear, or if they appear spontaneously”. 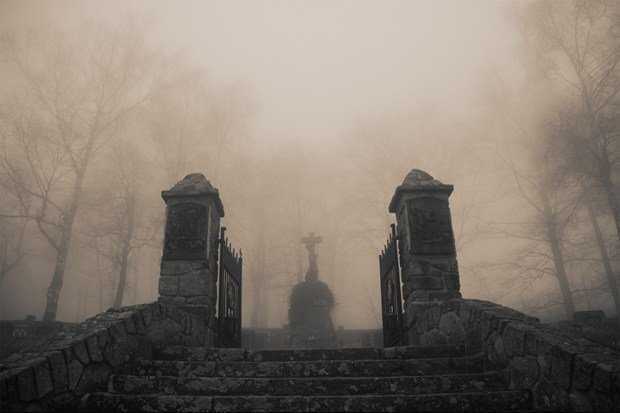 It may come as no surprise to learn that most studies on immortality have focused on people’s views of the afterlife, often coloured by religious indoctrination. Both children and adults seem to agree that physical bodily needs, such as hunger and thirst, end when people die, but our mental capacities, such as thinking or feeling emotion, continue in some form or another. But all previous studies have not tried to address the question where do these beliefs come from? Emmons suggests that they are not developed through exposure to religious teaching, reading, learning or even the television, but from our intuition. Just as children learn to talk without formal instruction, the research suggests that intuitively they develop the belief that part of their mind could exist apart from their body. Emmons interviewed children from an indigenous Shuar village in the Amazon Basin of Ecuador. She chose this group because they have no cultural pre-life beliefs, and she suspected that indigenous children, who have regular exposure to birth and death through simple hunting and farming, would have a more rational, biologically-based view of the time before they were conceived. Another “control” group was needed for comparison, so she also interviewed children from an urban area near Quito, where the children were Roman Catholics. That religion teaches that life begins only at conception. Emmons was looking to see if cultural influences ruled all, so that both urban and indigenous children should reject the idea of life before birth. Emmons showed the children drawings of a baby, a young woman, and the same woman while pregnant, then asked a series of questions about the child’s abilities, thoughts and emotions during each period: as babies, in the womb, and then, before conception. The results were not those expected. Both groups gave very similar answers, despite their very different cultures. The children in both groups reasoned that their bodies didn’t exist before birth. However, both groups also said that their emotions and desires existed before they were born. For example, while children generally told researchers that they didn’t have eyes and couldn’t see things before birth, they often reported being happy that they would soon meet their mother, or sad that they were apart from their family. So why would humans have evolved this universal belief ? So standing back from all this, it does not seem to me to take us any closer to attaining or confirming our immortality. The study merely confirms, in my view, the ability to convince ourselves that we shall live forever in one form or another. Personally, I’m still looking for the elixir of life, the tome of immortality, or the DNA equivalent of the God-particle that will stop our bodies from ageing. Have “His Dark Materials” been found? 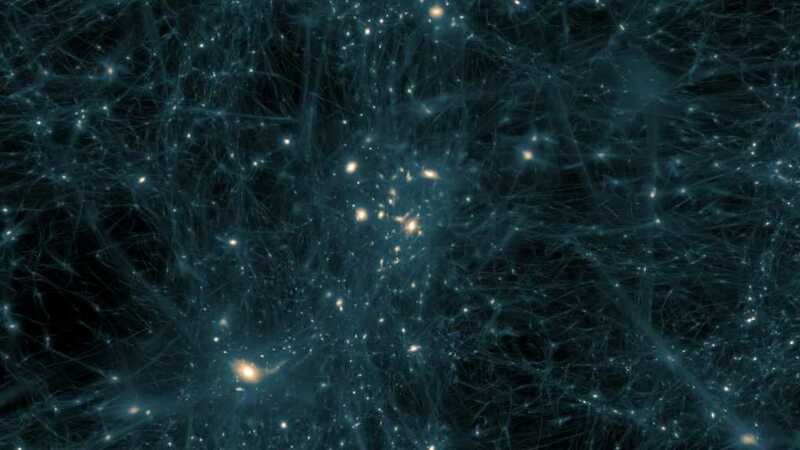 The search for what is now known as dark matter may have been going on for centuries. 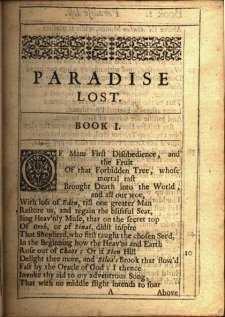 Early philisophers and alchemists quested for the thing that was present in everything. They cosnidered that if it could be discovered it could be manipulated to make base metals into gold, and even provide an elixir for immortality. The quest may be over- physicists may have finally found hard evidence for the existence of dark matter. The American Association for the Advancement of Science in Boston will make an announcement in the next few weeks to co-incide with the publication of a report- if the final tests and analysis of data holds up. 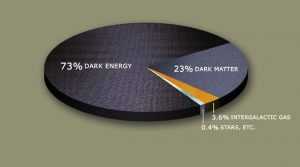 Dark matter is thought to be the invisible bonding agent which makes up the bulk of the universe’s mass. Its existence was first theorised pre-World War 2, to explain the way that galaxies expand and move in clusters. While dark matter seems plausible on paper, it hasn’t yet been possible to directly observe dark matter or know of what it’s made. However a machine called the Alpha Magnetic Spectrometer may well pull the covers away and expose dark matter. These experiments, combined with information coming out from the Large Hadron Collider collisions mean that we are close to achieving a new understanding of why what we see is really so small a slice of what there really is out there in the cosmos. That’s big stuff, although personally, I’d still like to change up some of my cheap Indian brass plates to gold…. 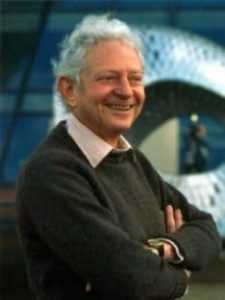 Leon Lederman coined the name "The God Particle"
The particle was first proposed in the 1960s by the English physicist Peter Higgs. 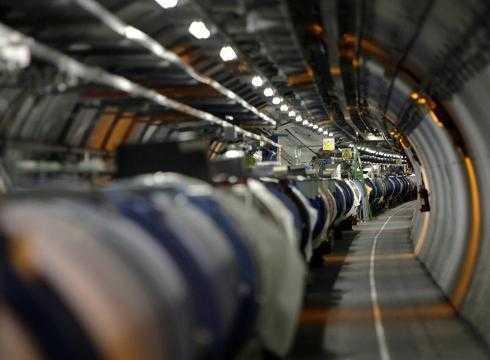 But the international effort to find it has taken decades, and culminated in the construction of the large Hadron Collider in Switzerland where tremendous amounts of energy are expended to smash subatomic particles into each other in giant underground tracks, where they are steered by magnetic fields. Several different experiments have been done by independent teams to ensure accuracy and no skewed results. Physicists say the Higgs boson would help explain why we, and the rest of the universe, exist. 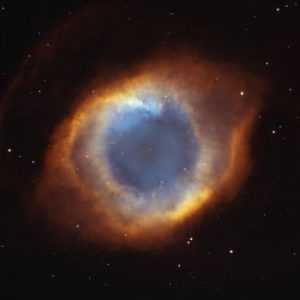 It would explain why the matter created in the Big Bang has mass, and is able to bind together. Without it, as CERN explained in a background paper, “the universe would be a very different place…. no ordinary matter as we know it, no chemistry, no biology, and no people. 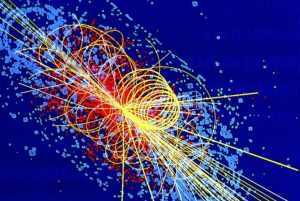 Scientists believe they have at last captured the elusive “God particle” that gives matter mass and holds the universe together. 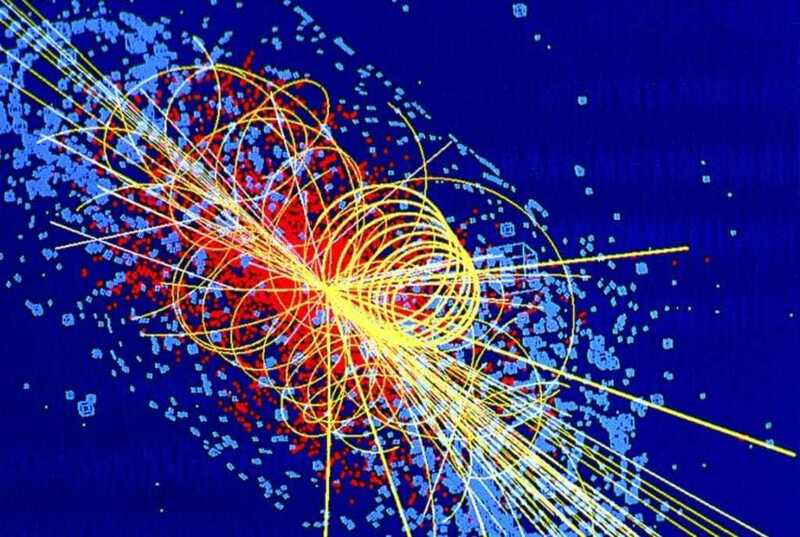 The Higgs Boson particle has a mass that’s around 130 times that of a proton, in the 125-6 GeV mass range, making it the most massive particle that exists. 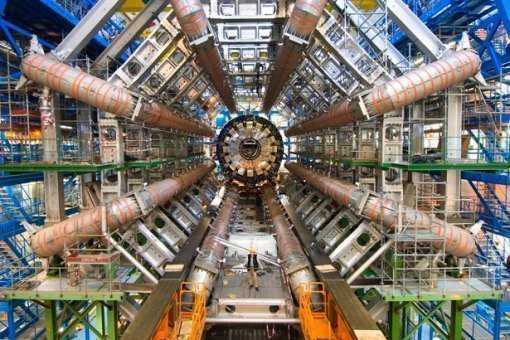 The two experiments were run independently from each other, and even most of the scientists at Cern had not seen the combined results until this morning. 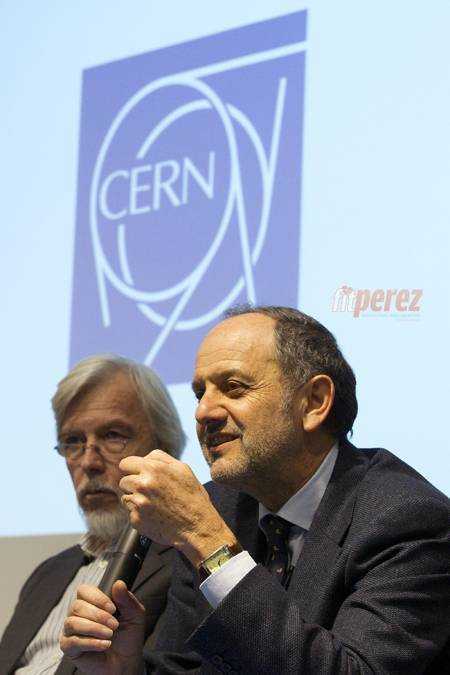 “We have reached a milestone in our understanding of nature,” said Cern Director General Rolf Heue. 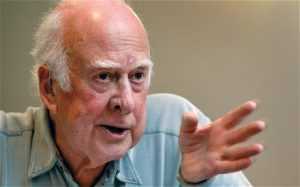 Scientists said they are now almost 100% certain that the observed particle is the Higgs. 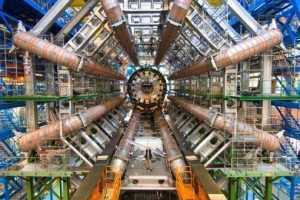 The evidence met the usual particle physics threshold for a discovery. The accuracy from the CMS experiment was 4.9 sigma – or about one in three million. 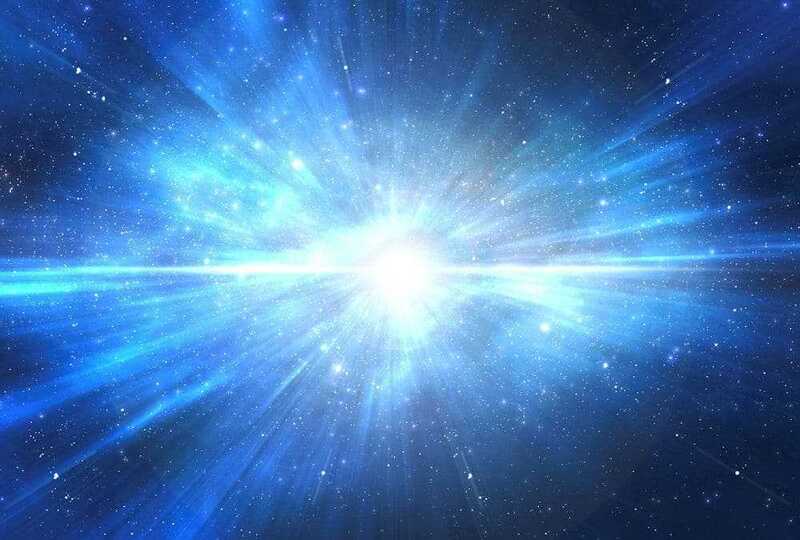 In December last year scientists at the Large Hadron Collider (LHC) – the “Big Bang” particle accelerator which recreates conditions a billionth of a second after the birth of the universe – revealed they had caught a first tantalising glimpse of the Higgs. 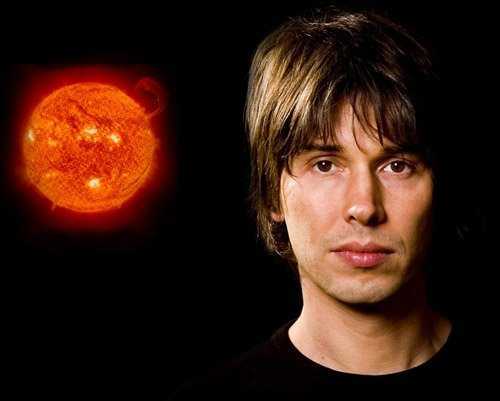 Professors Stephen Hawking and Brian Cox were keen to enthuse and congratulate, and it’s clear that while this isn’t going to solve any current economic problems, produce limitless green energy, or re-freeze the ice-caps, this is a monumental achievement for humankind. Don’t hold your breath for the glittering prizes to tumble out of this discovery, but some day , as we build on this foundation, they surely will! It’s time to smash atoms again for the LHC( Large Hardron Collider). 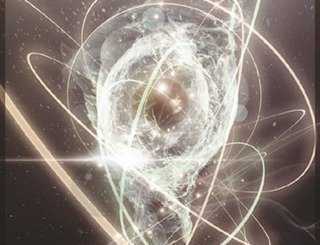 Although the atom smasher is working only on half force, scientists still are bracing themselves for some amazing discoveries. 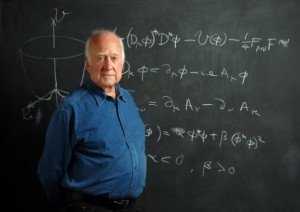 They are mostly after the God Particle, or what scientists call the Higgs Boson. There is also a chance that they discover unknown dimensions. It’s first aim is to recreate the Big Bang to solve scientific riddles such as dark matter, the invisible material that makes up most of the Universe. 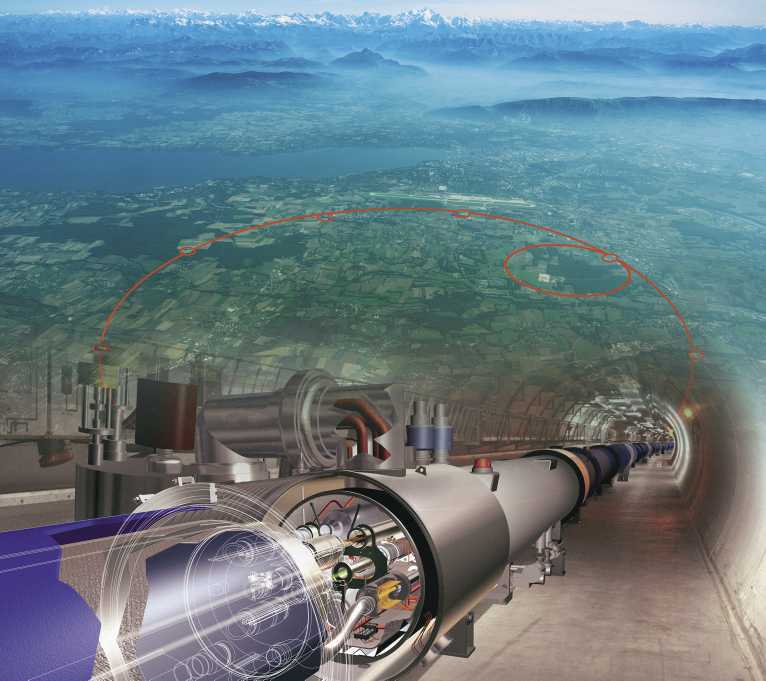 The Large Hardron Collider is housed in a 27km long tunnel beneath the French-Swiss border. Prior to the December shutdown, the Large Hadron Collider had set a new world record in high-energy physics by accelerating two beams of proton particles to 1.8 tera (trillion) electron volts (TeV) each and smashing them together, for a combined collision energy of 2.36 TeV. The current schedule calls for operating the machine at a level that would result in collisions with the energy of 7 TeV (3.5 TeV per beam) until late 2011 or early 2012. Already an exciting year just thinking about the Precession of the Equinoxes that has been predicted for the same year.